Many laptops no longer have a slot for DVDs and some have solid state drives rather than conventional hard disks. Most everything is streamed, saved on flash drives, or saved in the “Cloud””an online space for sharing files and storage. 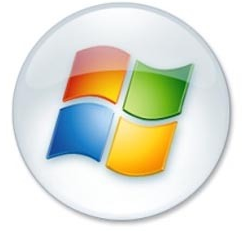 Windows Live”free programs and services for photos, movies, instant messaging, e-mail, and social networking”is seamlessly integrated with Windows so that you can keep in touch from your PC, phone, or the web, extending Windows to the Cloud. Meanwhile, work is underway for the next version of Windows. We already has been published different rumors, news for upcoming version of Windows: Windows 8 or vNext from various sources. It seems that our speculations and thought is in the right path! We will keep you informed about the latest news as soon we get any tiny bit of information regarding Microsoft’s future operating system: Windows 8 or vNext. This Article Has Been Shared 9997 Times! A sum up of latest Windows 8 possible features. Cite this article as: Abhishek Ghosh, "Microsoft is working for Windows 8," in The Customize Windows, November 24, 2010, April 18, 2019, https://thecustomizewindows.com/2010/11/microsoft-is-working-for-windows-8/.